We provide a range of useful downloads to help keep you up to date. View or download print-friendly versions of our color catalogs in English or Chinese. Download handy information kits on every model in easy-to-print PDF format. Look here for the technical low-down on our precision-crafted components. Check here for Onkyo applications that help you get the most out of your home entertainment. 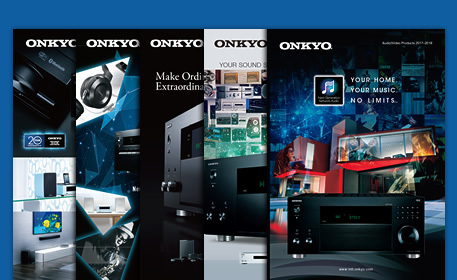 Get the latest firmware update for your Onkyo product from our convenient online database.